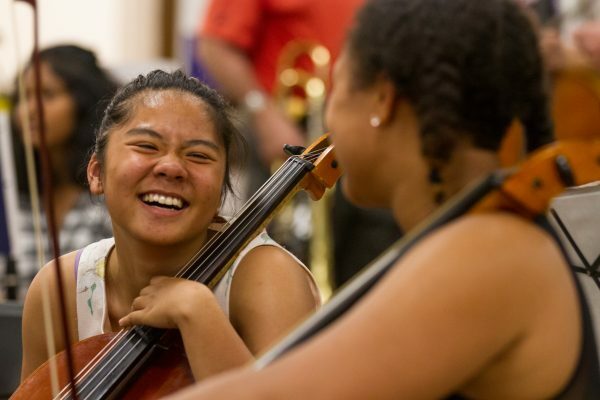 OrKidstra’s free after-school programs appeal to children of all ages, offering a progressive musical study that is inspiring, engaging and fun! 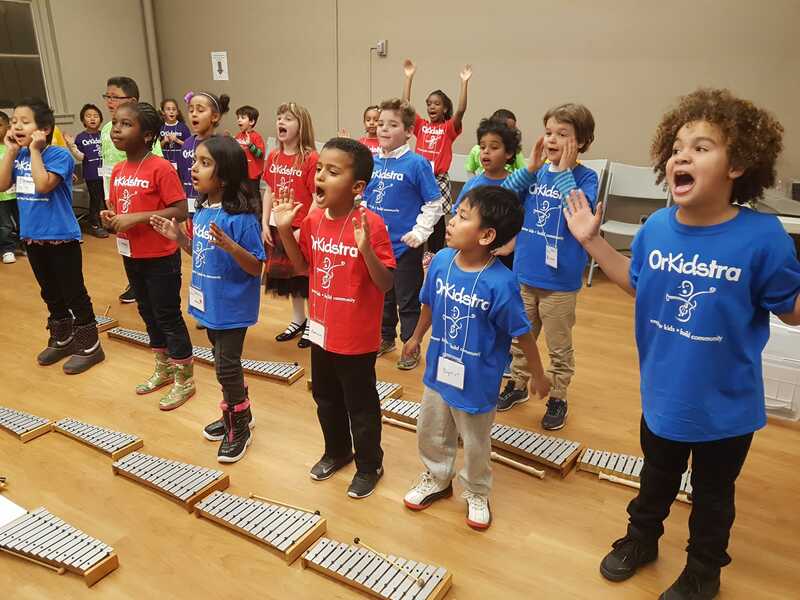 Led by professional Teaching Artists, OrKidstra works to create a harmonious community with a focus on singing and playing together. 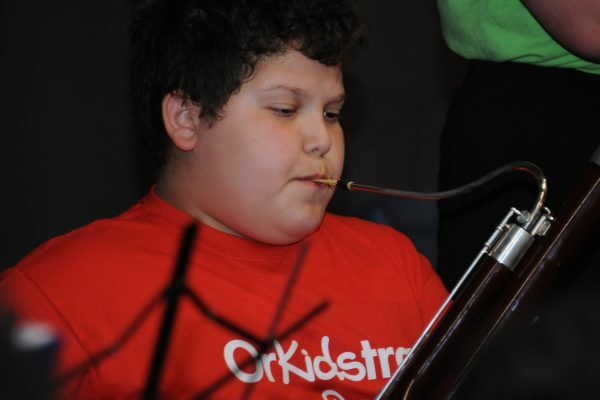 OrKidstra actively works to break down barriers: the majority of students participate in music lessons free of charge. OrKidstra’s after-school programs provide a safe, beneficial and creative environment complete with a healthy snack! KiddlyWinks is an energetic music and movement program that’s great fun for children ages 5 – 8 years old. KidSingers is an upbeat choir program that celebrates the beauty and joy of singing together for students 8 years and older. Scroll through to find information on our other locations in Vanier! 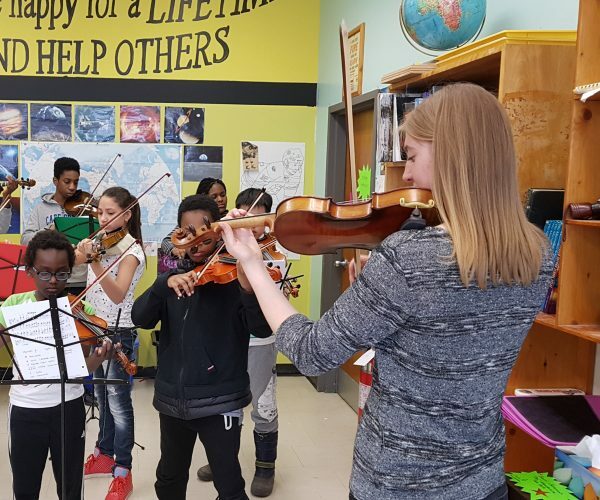 OrKidstra’s Centretown Hub is located at the Bronson Centre (211 Bronson Avenue) and provides after-school programs Tuesday-Friday for the under-served areas of Centretown, Centretown West (Chinatown) and Lowertown. OrKidstra’s Centretown Hub opened its doors in 2007 and currently serves up to 175 children and youth. OrKidstra’s main offices are also located at its Centretown Hub. 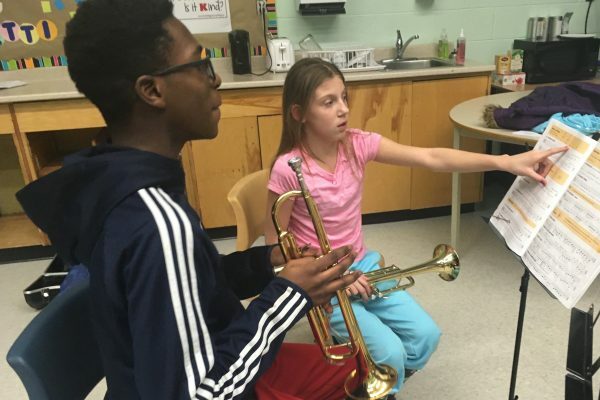 OrKidstra’s Vanier Hub is currently located at Ottawa Technical Secondary School (485 Donald Street) and provides after-school programs on Monday and Wednesday for the under-served areas of Vanier South and Overbrook-McArthur. OrKidstra’s Vanier Hub opened its doors in 2016 and currently serves up to 150 children and youth. 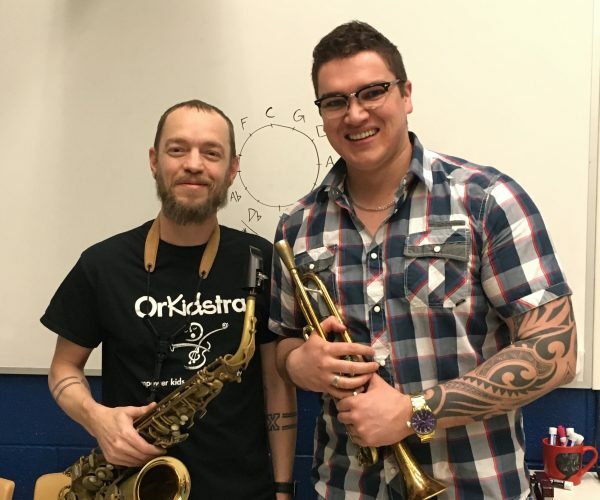 OrKidstra’s Vanier Satellite Site is located at Vanier Social Pediatric Hub housed at the Vanier Community Service Centre (270 Marier Avenue) and provides after-school programs on Tuesday for the under-served areas of Vanier North and Vanier South. OrKidstra’s Vanier Satellite Site opened its doors in 2017 and currently serves up to 40 children and youth. We’re proud to say that OrKidstra has over 3,000 hours of programming per year! Led by dedicated professional Teaching Artists, find out when and where OrKidstra classes are happening. 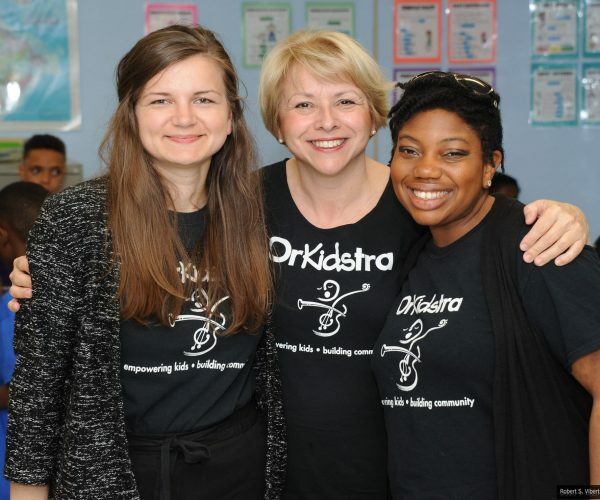 OrKidstra’s Teaching Artists are extraordinarily talented musicians and music educators who are passionate about OrKidstra’s social mission of success through music. Our Teaching Artists care deeply about the well-being of their students and guide them towards making positive life choices by encouraging commitment to musical and personal excellence. OrKidstra Teaching Artists are deeply engaged in the community as well as their musical craft. 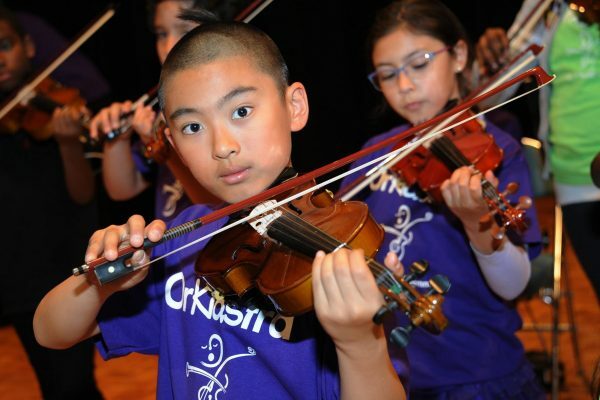 OrKidstra’s Teaching Artists are highly skilled musicians and music educators with their own unique experiences and expertise. Are you interested in exploring how your skills as a teacher and as a musician intersect? In partnership with the University of Ottawa, OrKidstra offers a 3-credit course to undergraduate and masters level students. We also proudly extend this philosophy to our partnerships with local universities and high schools. 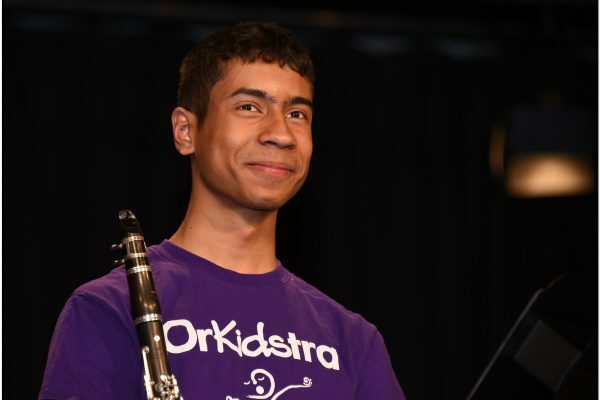 Since our beginning in 2007, mentors have made a profound and positive impact on OrKidstra’s students – and it’s a two-way street, as there’s no better way to learn about your playing than by teaching it! 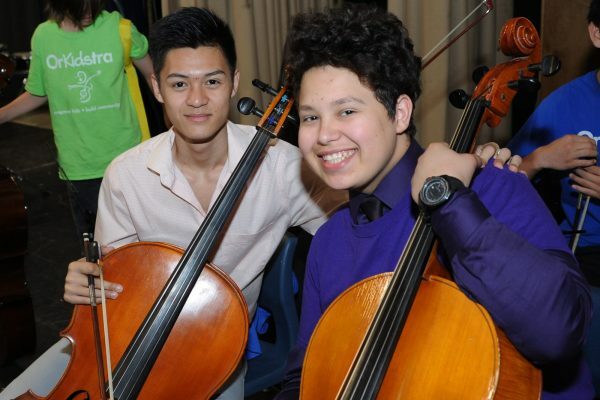 OrKidstra encourages mentorship with all our students, along with peer-to-peer teaching, which breaks down barriers. Do you want to make a difference in a child’s life? Do you have musical skills you would like to share? 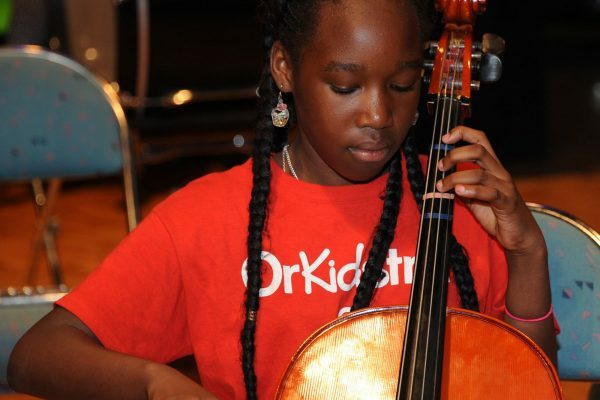 Think about becoming a Mentor with OrKidstra! MusicTeach the children the beauty of music and music will teach them the beauty of life. 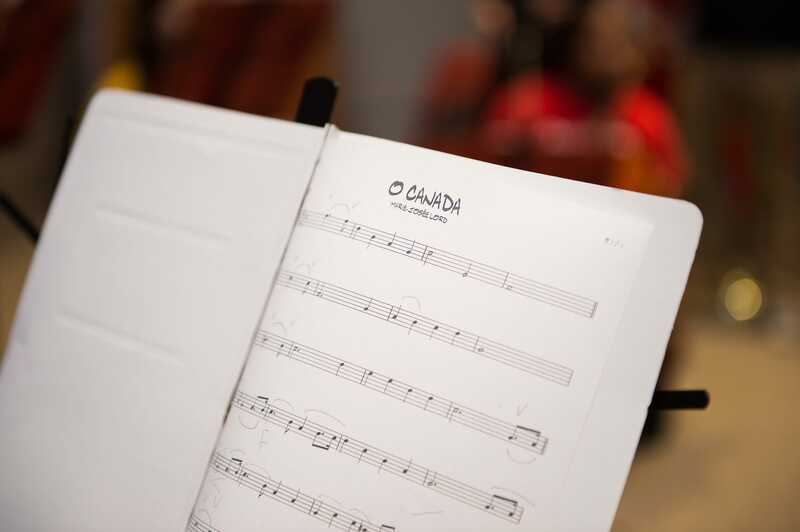 At OrKidstra, we choose music that excites our students and resonates with different cultures. We’re proud to say that our students come from over 62 different linguistic and cultural backgrounds and our program includes music from classical, jazz, world, pop, folk and other traditions. All OrKidstra Teaching Artists are professional musicians and music educators. While they focus on teaching music, they also deeply care about the well-being and social development of the child. Under the guidance of their Teaching Artists, OrKidstra’s Kid-Powered levels allow students to determine their own level of commitment. Music education has proven benefits on the cognitive and emotional development of children. 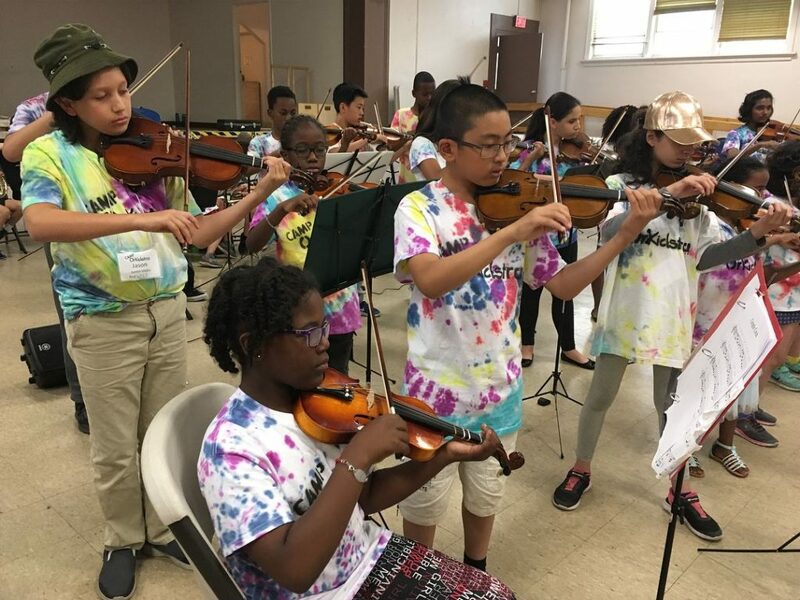 The Anne Taylor Summer Program (also known as CAMP OrKidstra) enables Beginner, Junior, Intermediate, Senior and Dedication students from all OrKidstra after-school programs to benefit from individual lessons and ensemble rehearsals throughout July and August. The Program, established in memory of Anne Taylor, also gives students the opportunity to strengthen their role in the community by participating in events and enjoying outdoor and group recreation activities. Anne Taylor was a member of OrKidstra’s Board of Directors who passed away in the summer of 2014. For Anne, OrKidstra was a perfect fit, combining her abiding passion for children’s education with her deep love of music. 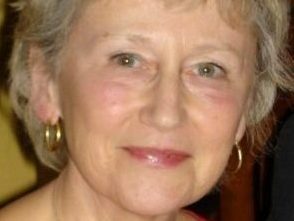 The late Anne Taylor was at heart an educator, teaching in Montreal, Alberta and Pakistan. Anne was also responsible for bringing a wealth of films from the National Film Board into Canadian classrooms. As well, she founded and co-directed MediaSmarts, an online media literacy site for kids. Anne was a much-loved volunteer in the Ottawa community; she is truly missed by all those who knew her. We are honoured to dedicate our OrKidstra summer program (CAMP OrKidstra) to the memory of Anne. 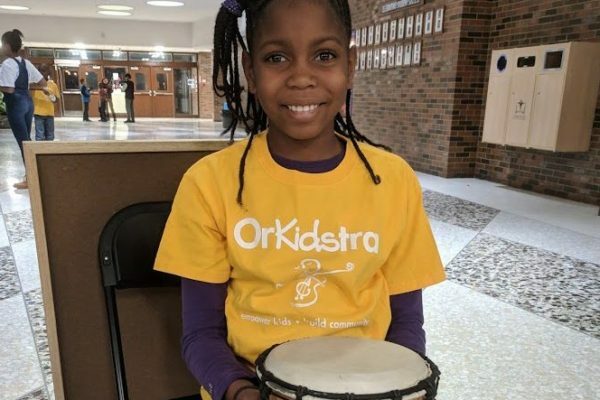 OrKidstra students benefit from individual and group music lessons as well as special workshops, community service events and recreational outings during the summer months. OrKidstra offers free after-school programs in Centretown and Vanier for kids ages 5-18. Parent Marie says, “I really like that my kids can be involved in music; it’s a very beneficial place for them to be after school.” Help your child grow their potential through music!